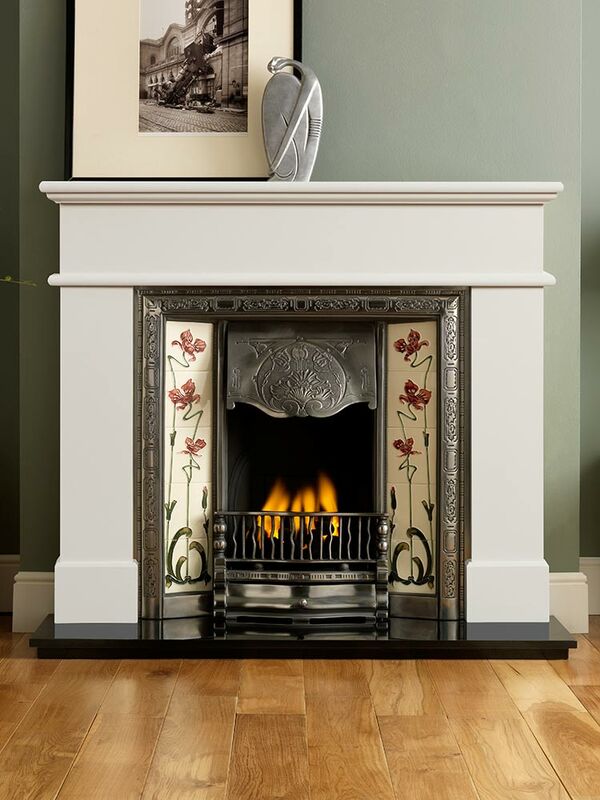 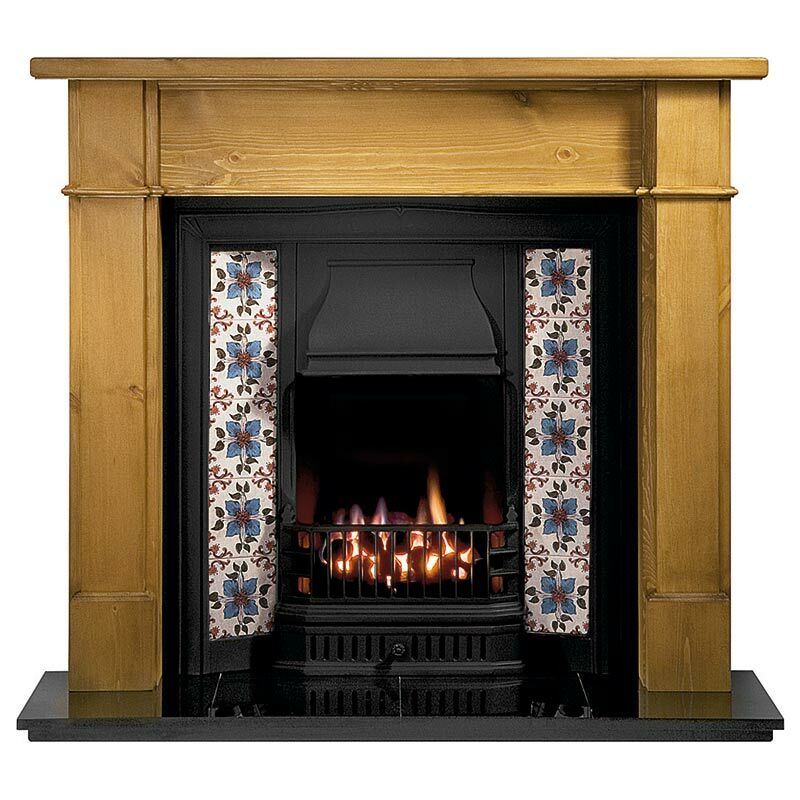 Our collection of Mantels and Tiled Inserts consists of our beautiful range of natural stone mantels combined with cast iron tiled inserts. 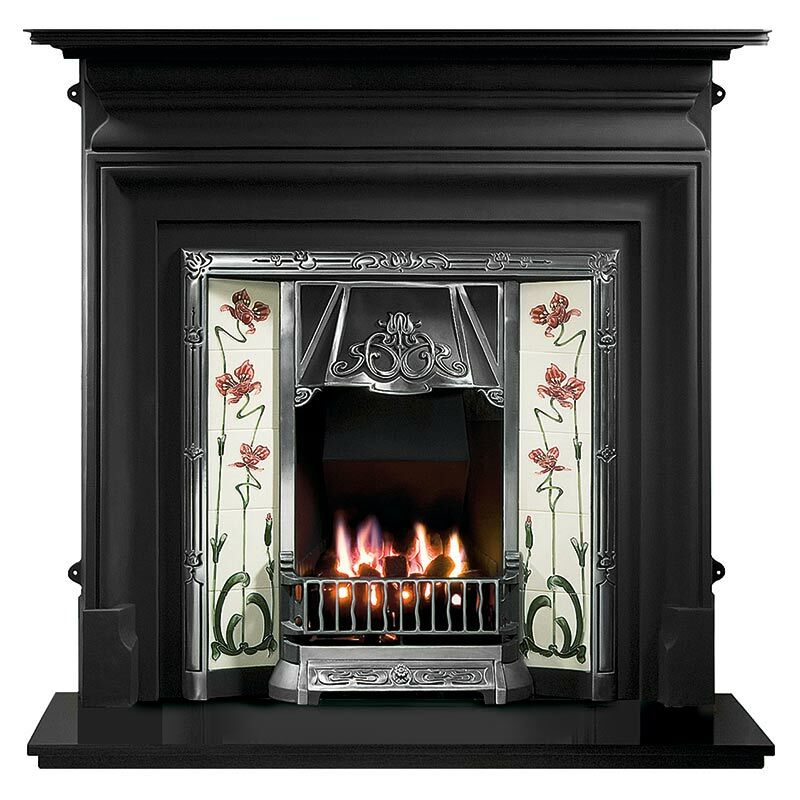 A cast iron insert is a decorative plate with complimentary front bars that incorporates a fire. 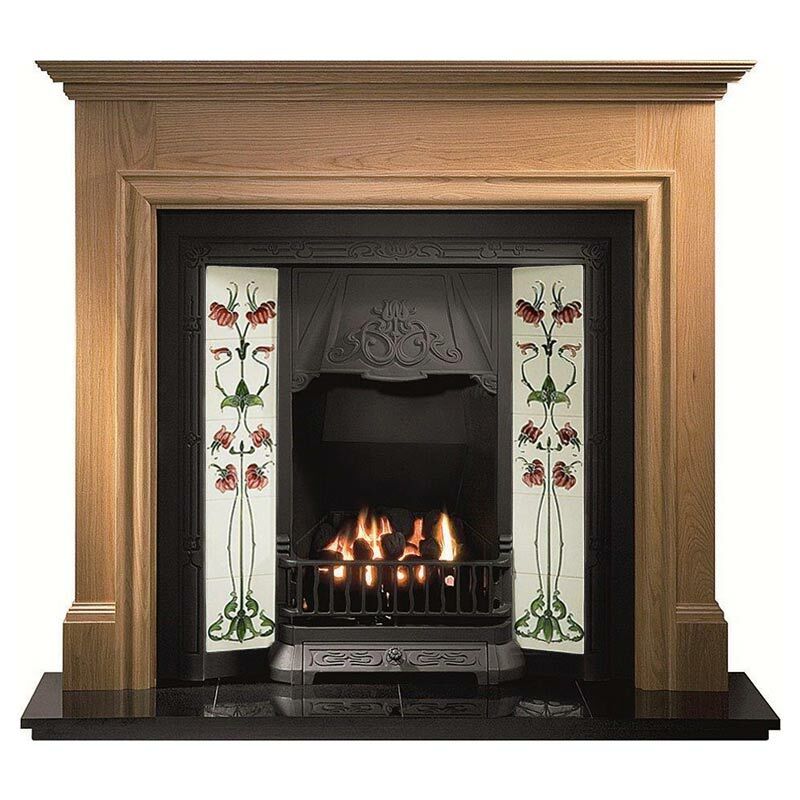 Many have the opportunity to burn several types of fuel such as wood, coal, gas or electric. 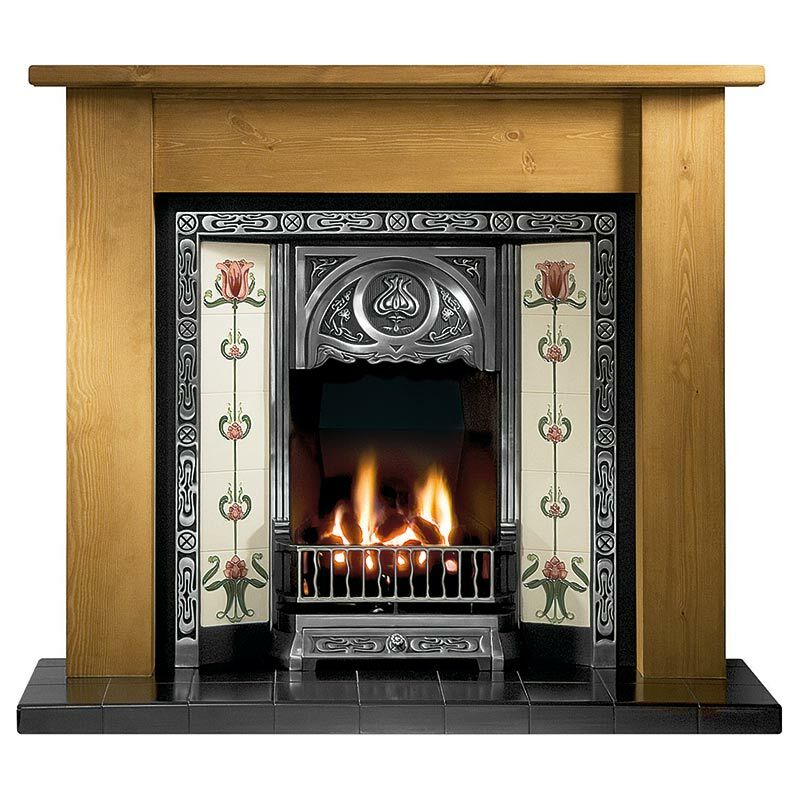 All of our tiled inserts featured here are suitable for burning multi fuel (wood, coal), however, polished and highlighted products may tarnish. 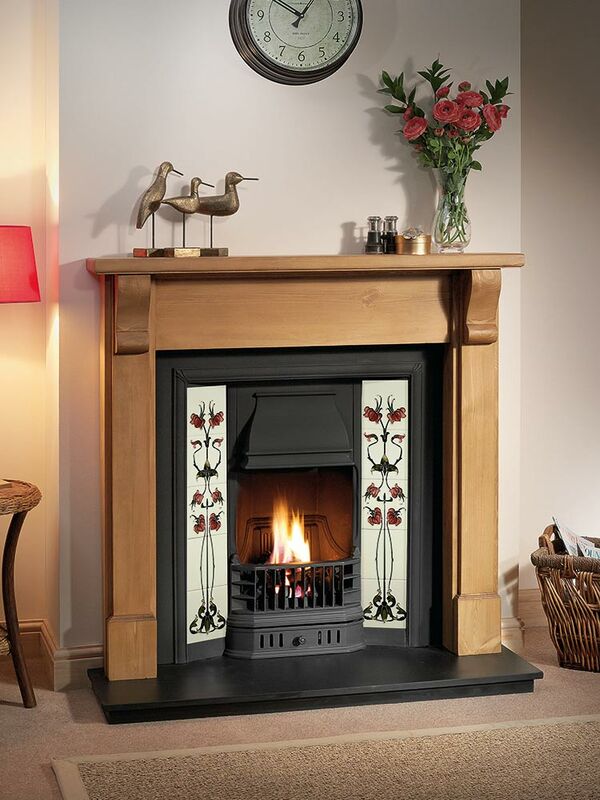 When burning solid fuel, it is recommended that you choose a black finish. 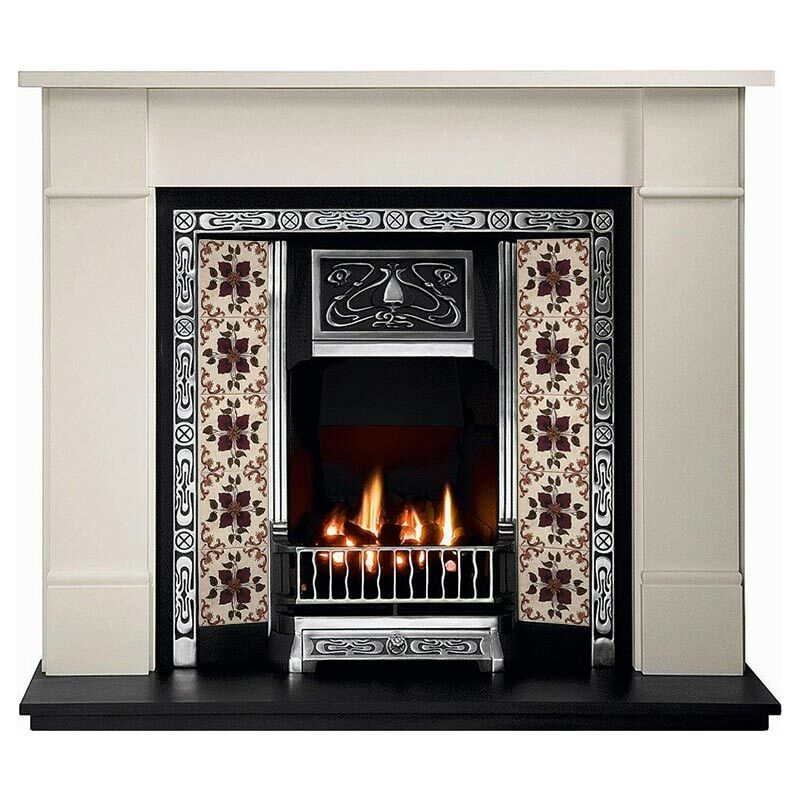 When choosing a tiled insert, it’s possible for you to select any tile set from our range. 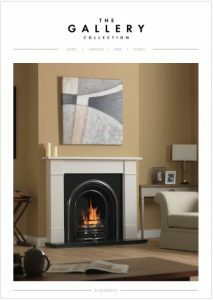 Click any picture to view it full size.